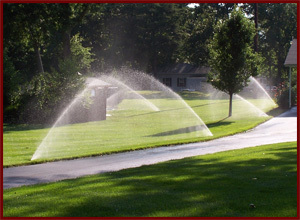 Sprinklers & Irrigation Systems Installation Services Long Island & Suffolk County, New York (NY) – Royal Star Associates Inc.
We specialize in the latest in irrigation installations. We are a full service irrigation company. We've installed systems on thousands of homes, large condo complexes and larger retail outlets.If you need a spring turn on, small repair or a maintenance contract for your homeowners association we do it all. All our repair and installation vehicles are radio dispatched for prompt and courteous service. So don't invest your hard earned money on expensive landscaping without considering an automatic irrigation system to water it. We give a free winterization and spring start up as well as a one year guarantee on all new systems.